This week’s SATURDAY SIX is a special one as we have the Inaugural Walt Disey World “Turkeys” of the Year. For Thanksgiving this week we took a look back at things both Disney and Universal fans should be thankful for, but today we are going to go the other way. Gather round, as we are starting a new tradition and award six WDW “Turkeys” to the craziest, most outrageous, or just downright weird stories of the year, concluding with the coveted Golden Turkey award. Let’s kick off the ceremony with a relatively recent one…. Kim Kardashian may have broke the Internet in November, but WDW itself set the precedent in October when it broke Hollywood Studios doing a controversial test using the park’s most popular attraction, Toy Story Midway Mania. For reasons still unknown, the attraction became FastPass+ ONLY for four days, giving guests no opportunity to wait in a standby line. 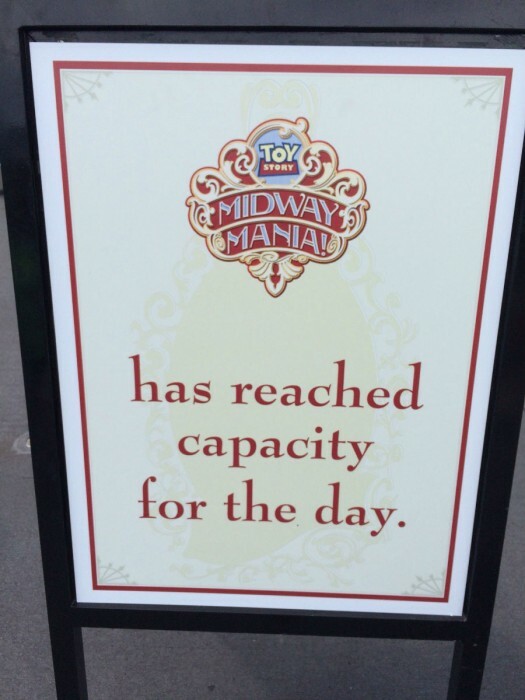 The normally long standby line for TSMM was essentially switched over to Guest Services, where many guests queued up to voice their opinions on this test. The end result of the test? Scores of unhappy guests. 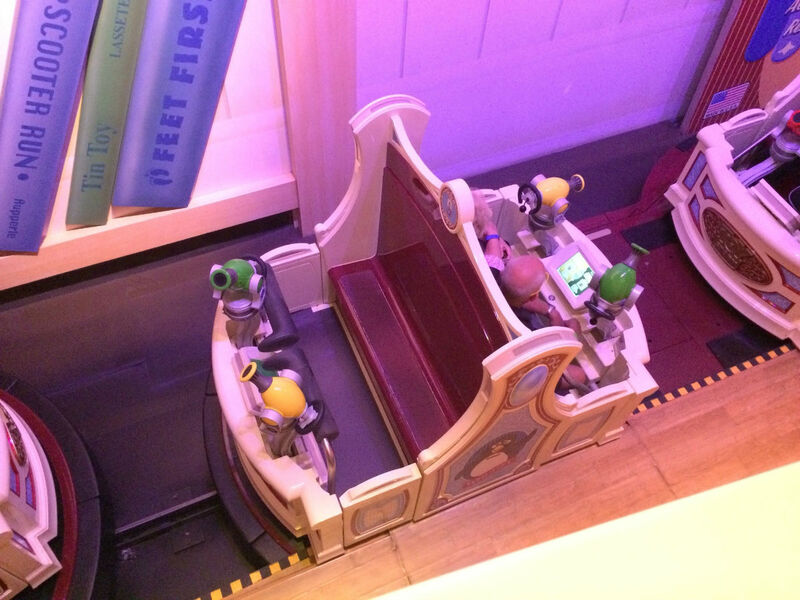 One of the only family friendly rides in the park running at less than 100% capacity. 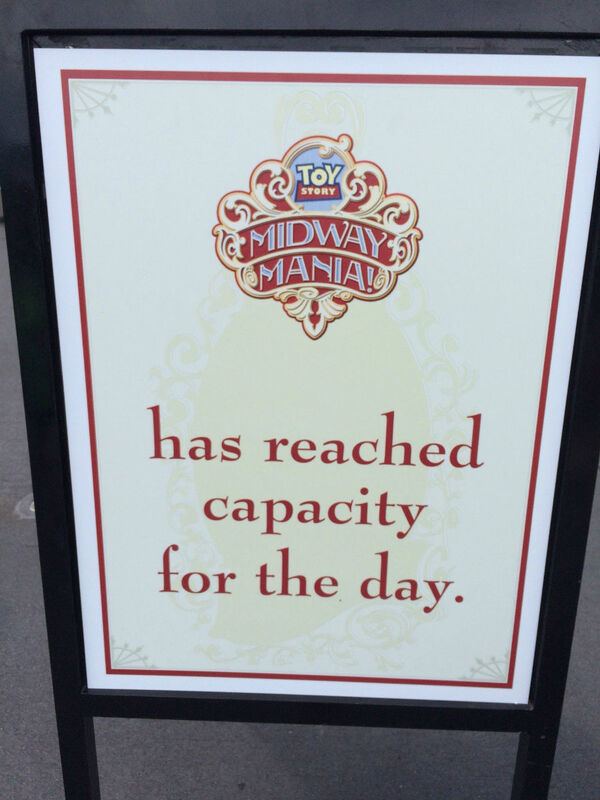 And perhaps further evidence of a large percentage of WDW guests that just plain don’t want to participate in MyDisneyExperience or MyMagic+, something which could present a challenge for WDW in the coming years. Whether a tactic to combat complaints of over-intoxicated adults, or a WDW cash grab, this year’s introduction of beers being only available in 4 or 6 oz. pours was not a welcome sight for many Food & Wine guests. Beers around the World Showcase kiosks were available in single 6 oz .pours, or a flight of four separate 4 oz. pours. You’d be hard pressed to find a single store, arena, ballpark, or restaurant in the world that sells 4 oz. servings of beer for the simple fact of no one would buy it. In previous Food & Wine Festivals, beers were available in much larger sizes, including 20 and 22 ounces. I will never forget where I was on November 6 at 6:12 AM. 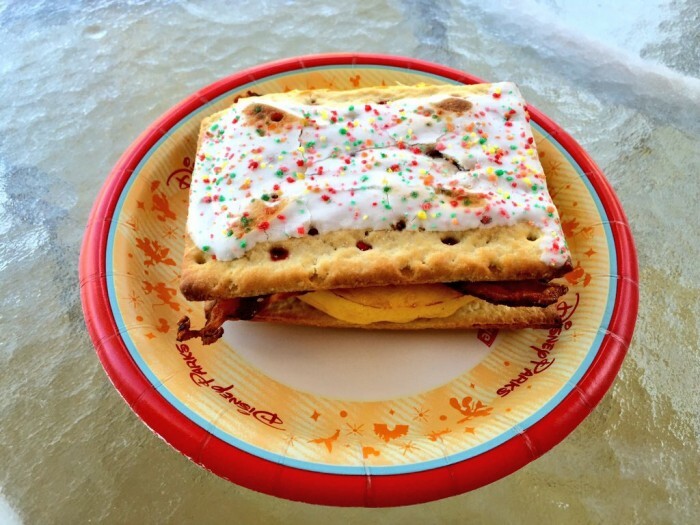 That was the time when TouringPlans’ own Laurel Stewart posted a picture containing the Pop Tart Breakfast Sandwich at Disney’s Pop Century Resort. I consider myself a connoisseur of outrageous foods at Walt Disney World, but this one made my jaw drop. 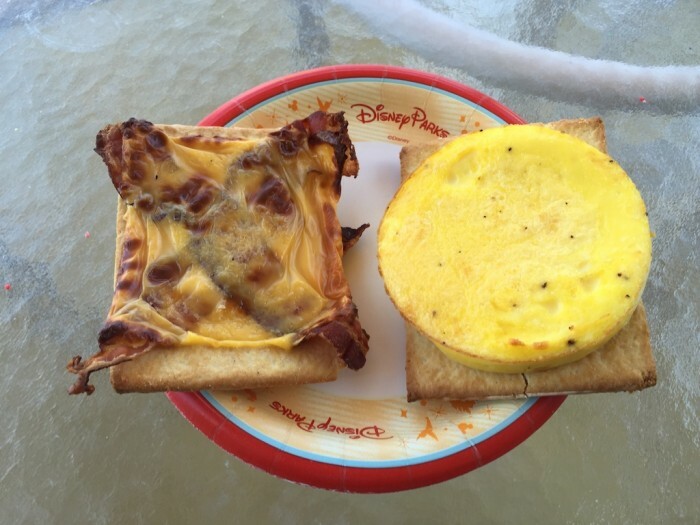 Using Pop Tarts as the bread of a bacon, egg, and cheese sandwich? Whaaaaaat?! I was having KFC Double Down flashbacks. Being of sound mind and body, Laurel was smart enough to only take a picture of the menu. However, Disney Twitter icon and selfie expert Mark Diba was more than happy to provide a public service and brave eating the sandwich. Long story short, the Pop Tart Breakfast Sandwich wasn’t that good. But, like a good horror movie, we’ll leave what it tastes like to your imagination, because that’s always ten times worse than the real thing. 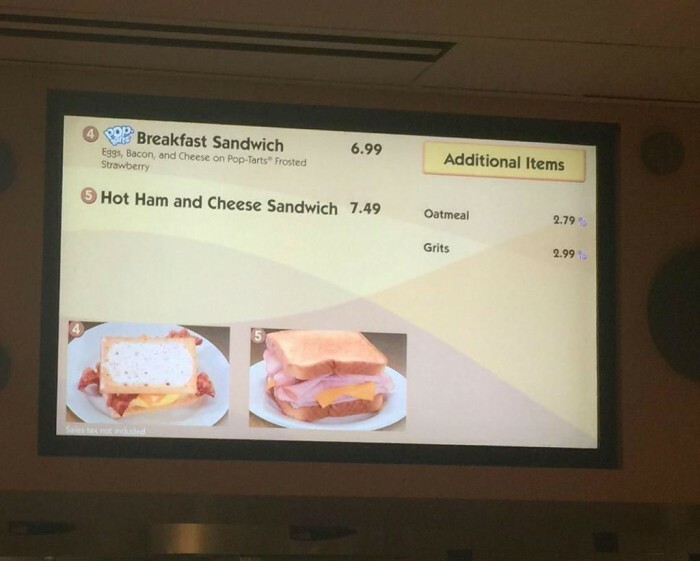 It is worth noting that the real sandwich is different from the one on the menu board as the sandwich is cooked with the frosting side inside the sandwich, not out. 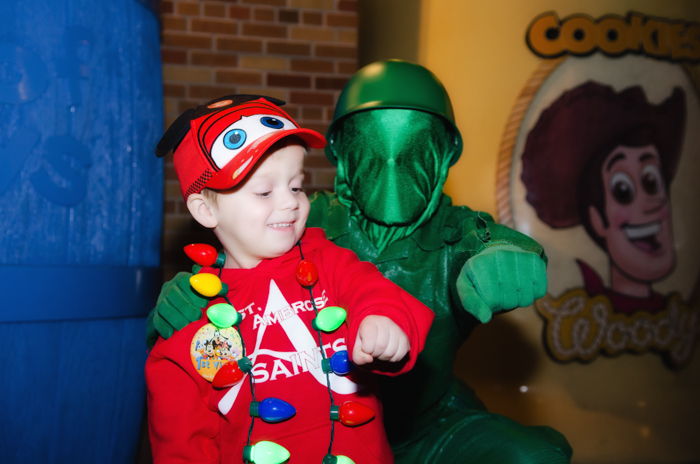 We may have to go back to Pop Century and request another one with the frosting on the outside to get a second opinion. Oh Mark…. Back in April, Frozen‘s Anna and Elsa moved from the Norway pavilion in Epcot to Princess Fairytale Hall in the Magic Kingdom. Everyone knew it would be popular, but almost no one was prepared for exactly how popular. Immediately waits went to 100, 200, and even over 300 minutes. 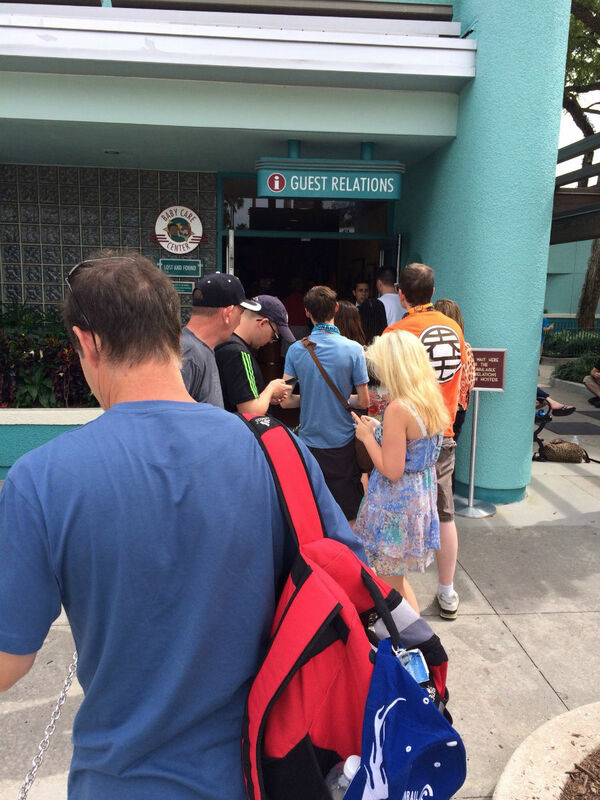 FastPass+ reservations were gone usually in minutes, as most were reserved 60 days in advance by WDW on-site guests. This in turn caused a new dynamic at the Magic Kingdom rope drop, as it soon became the theme park version of Spain’s running of the bulls. The mad dash to Fantasyland in the morning became so bad that Disney was compelled to do something. 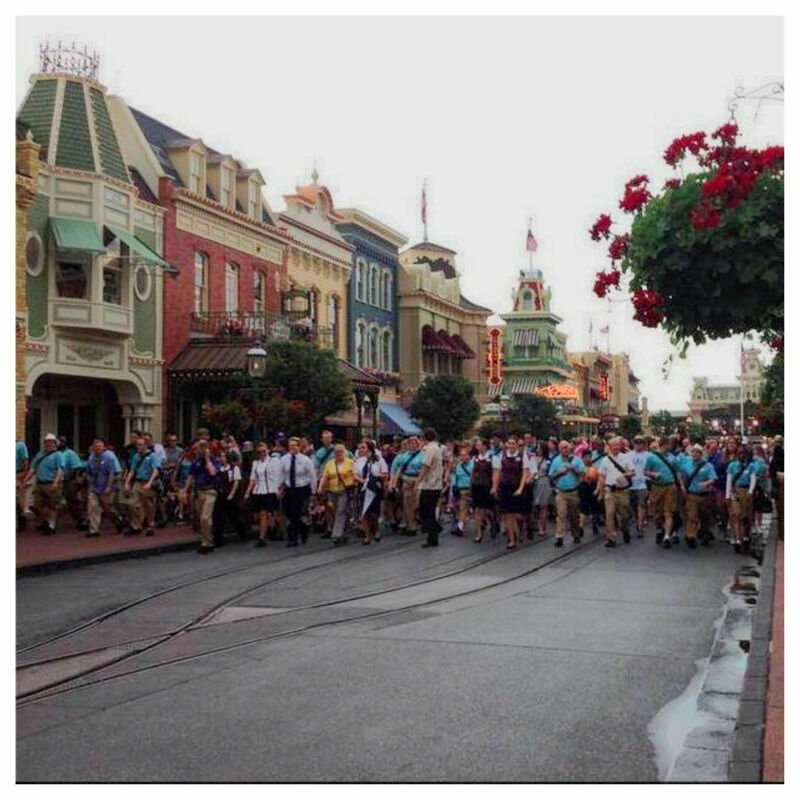 In a sight that had to be seen to be believed, Cast Members formed a human wall, and slowly walked the early morning guests back to Fantasyland. What else needs to be said? A park that desperately needs more attractions shuts down one of the only rides in World Showcase to convert it over, instead of building another ride. An area which is built on learning and discovering the culture of other countries will now have a centerpiece attraction based on a country that does not exist. Maybe the problem is that theme park guests, like your humble author, who grew up with Epcot as a theme park experience radically different from anything we had ever done before, need to accept the fact that sooner or later it’s going to become just another park. I say all this as someone who loves Frozen. I would love to see a Frozen attraction in the Magic Kingdom. I would love to see a Frozen attraction in Hollywood Studios. I would love to see Arendelle set a precedent and become the first fully realized “country” in the World Showcase, paving the way for Big Hero 6‘s San Fransokyo or Wreck It Ralph‘s Sugar Rush environments. What I don’t want to see is Frozen replace Maelstrom in Norway. 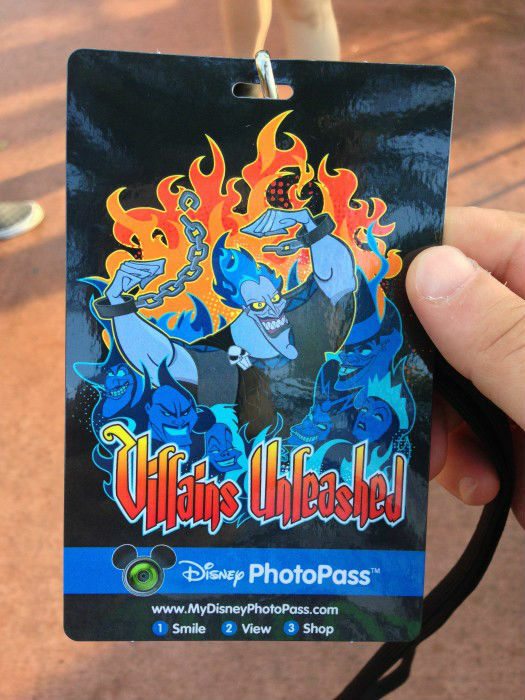 There were a lot of good elements contained within the Villains Unleashed hard ticket event this summer, but ultimately it gets our Golden Turkey award because of how many guests walked away outraged and demanded their money back. In a true story, one person read the SATURDAY SIX write up of the event, found out others had received their ticket money back, and also got their ticket refunded days later, no questions asked. Why? Because Disney knows they messed up on this one. From party maps being completely gone by the time the party officially started, to meet-and-greet lines being capped by 8 PM, to extremely long lines for everything (merchandise, food, meet-and-greets, you name it), overall this party was just short of a disaster. THAT SAID, this is an idea that Disney needs to stay on until they figure it out. If anything, this year’s Villains Unleashed proved that there is a rabid fan base for this type of party. Maybe it needs to be in a different park where logistically you can do the fireworks show before 12:45 AM. Maybe it needs to have a ticketing system like Star Wars Weekends where guests are guaranteed ahead of time of meeting certain characters. It definitely needs to spread out the locations that offer food and merchandise. And maybe, just maybe, they should consider printing more park maps. However, it did have an utterly fantastic opening show. While it was almost impossible to meet more than one or two characters during the event, the meet-and-greets themselves (such as Constantine from Muppets Most Wanted) were wonderful. The Villainy in the Sky nighttime spectacular was fantastic. It was also the first time that Marvel characters were inside a Walt Disney World park (and from Guardians of the Galaxy to boot!). I have full faith that with just a couple tweaks, the Villains Unleashed party could go from winning the Golden Turkey award to being theme park’s most memorable event in 2015. Special thanks to crack staff photographer Brandon Glover, Mark Diba, Laurel Stewart, and Seth Kubersky for their invaluable assistance with this article. Be sure to also check out Brandon on The Park Blogger podcast with co-hosts Aengus Mackenzie and Brian Carey. Missed an opportunity on this list for the Seven Dwarfs Mine Train. For all the hype and the huge lines it is one of the shortest, most uninspired attractions at WDW. You’ll be seeing SDMT in an upcoming article…. We actually sent a note to Disney a few weeks after Villains saying how disappointed we were as DVC and AP holders that the event seemed over sold and thoughts on what could have been done better. They called us back and asked for my thoughts and just offered me a refund ….I never even asked for one…that’s the sign of them knowing they messed it up. Why not have the event (improved, of course) more than just once a year? I have to disagree with you on maelstrom. The ride would be laughed at and closed in any other park. It’s time had come and you don’t know what the replacement will be like so don’t prejudge. Also rated 3.5? Grand Fiesta Tour, Journey Into Imagination, Impressions de France, and Ellen’s Energy Adventure. 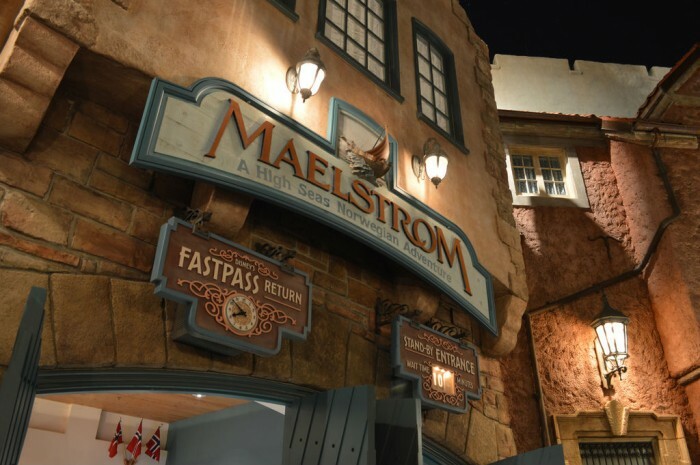 Personal opinions aside, not only was Maelstrom not “laughed at,” it was rated similarly to half the attractions in Epcot. This is as opposed to, say Stitch’s Great Escape, which gets a 1.5/5 score in the Magic Kingdom, far lower than anything else. I’m with Derek on this one. While Maelstrom isn’t a spectacular attraction by any means, ‘Frozen’ is not Norway. Norway is a real place, as are all the other WS pavilions. Even if the new attraction were to be the greatest ever – which it won’t be, by a longshot – it would belong somewhere else. I wonder what the people of Norway think of this Frozen overlay? I feel like Disney is saying to heck with anything about the real place; from now on the real country is interchangeable with Frozen. It must’ve been really difficult narrowing the WDW Turkeys down to 6. Even though it’s a multiple year roll out, I think FP+ is the biggest bird of them all. I have to disagree somewhat about the 4 oz. beer pours–beer is sold in that amount in breweries everywhere. 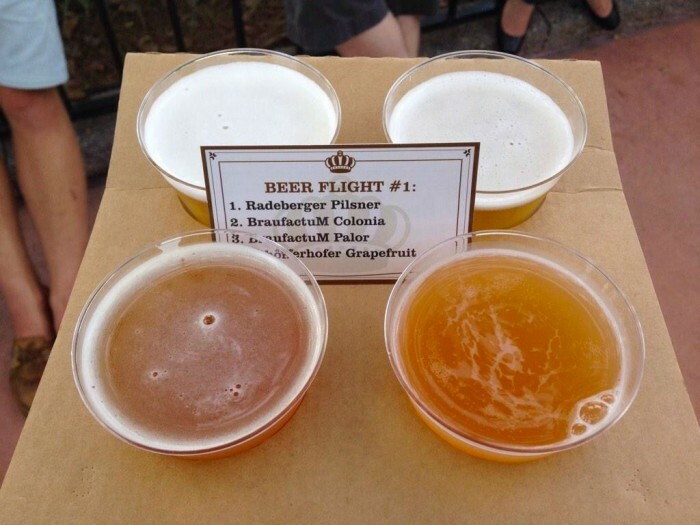 It is a nice option to have a flight of tasters like that. However, 6 oz. pours are nonsense, and they should definitely have a full pour option.